Thanks for posting this. CAKE does an awesome version of that song. Indeed they do, as does Faith No More. I'm a "casual" Foo Fighters fan, I guess. I'm looking forward to watching the HBO docu-series on the recording of the new album in all the different cities. Straight up nasty. I pretty much love everything they've done. Anyone that's on the fence should watch "Back & Forth," you'll love them after watching it and if you're already a fan, you'll appreciate them even more. Is that the new HBO series? Nah, their new series is "Sonic Highways," "B&F" is their career spanning documentary. Oh, gotcha. I'll have to check out both then. Yes indeed, it's a great doc, warts and all. Night 2 - Heart "Kick It Out" with Ann and Nancy Wilson. Tickets on sale tomorrow – Wednesday, Oct. 15th at [Only registered users can see links.] . 21+. A two-ticket limit per customer will be strictly enforced . All tickets will be held at will-call and are non-transferable. Ticket holders and their guests must check in at the same time, present government-issued photo id and immediately enter the venue. Doors open at 8:30pm (CST). Can’t make the rock show? That’s ok, if you live in the USA, you can watch it LIVE beginning at 11:59 EST from our friends @HBO. Thanks for posting, Gweeps! I had no idea who Tony Joe White was/is so this was my least favorite performance of the week. Wow, nice additional web exclusive as well, thanks. You can tell there's a great love, respect and admiration between Dave and the Foos, pretty damn cool in this day and age if you ask me. Psyched for the new single "Something From Nothing" to drop today! Last edited by RageATL; 10-16-2014 at 07:46 AM. Last edited by RageATL; 10-16-2014 at 04:06 PM. SICK! Taylor's a decent front man. Seeing Rick Nielsen, jeez, I really don't miss playing my old Gibson Explorer...what a PITA, haha! Nice they jammed the new tune tonight! Love that funky little middle section. As much as Dave is my idol, I just wanna sit at a bar and slug beers with Grohl and talk music for hours. 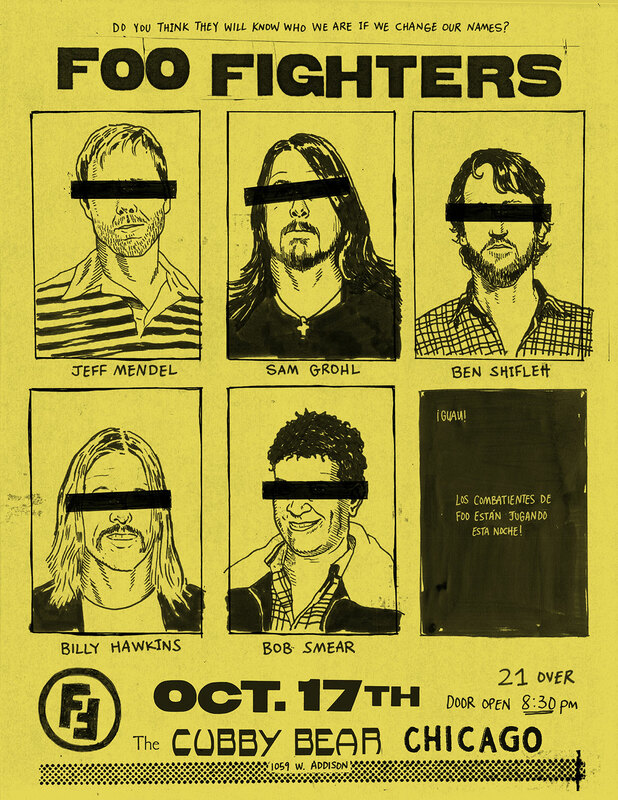 Did anyone catch "Sonic Highways" last Friday?